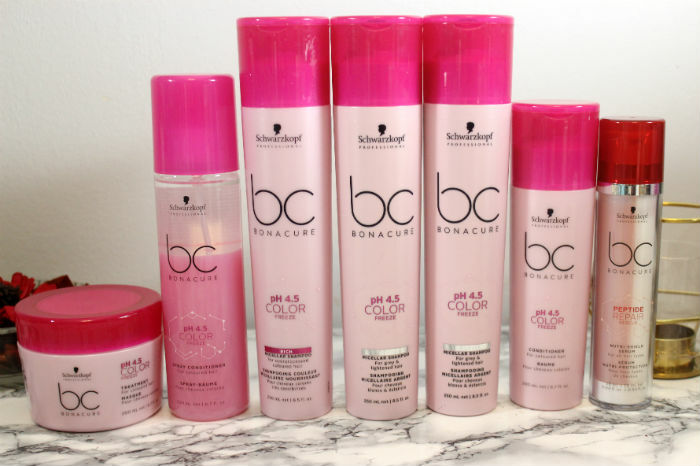 Schwarzkopf recently revamped their BC Bonacure hair care line. The salon exclusive line of products now boasts skin care properties to help your hair perform its best. the pH 4.5 Color Freeze line is all about keeping your colour looking like you just left the salon as long as possible. It uses patented pH 4.5 Balancer Technology to seal the surface and 'freeze' the colour pigments inside the hair matrix for longer vibrancy. All of this sounds really neat to me, and since my hair is porous and bleeds colour I thought it was right up my ally. I got to try the shampoo, conditioner, treatment and spray conditioner. 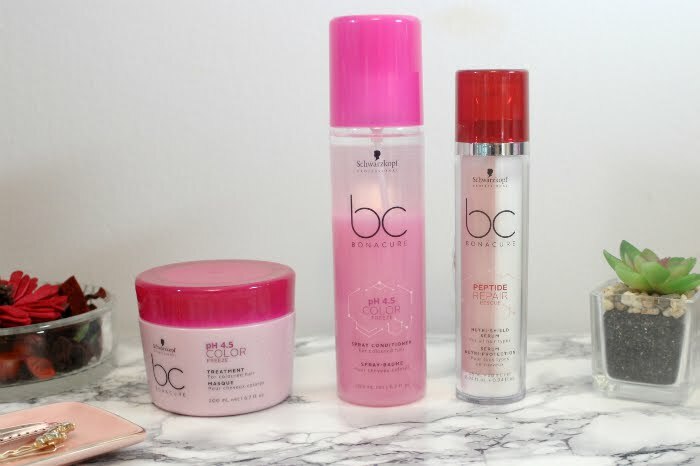 This seems like a normal shampoo, but it (and all the BC Bonacure shampoos) now features micellar technology to help wash away impurities and dirt in your hair. It has a medium consistency with a slight pearl to it. It also claims to have keratins to help fill structural gaps, apricot oil to protect and smooth the hair. I find it lathers really nicely and requires very little work to get my scalp and hair nice and clean. It rinses well and feels like there is no real residue leftover afterwards. Since my hair is porous from over processing the keratin to fill in gaps in my hair is a great addition. This is pretty much the same shampoo, but it has a blue-violet tint to it to help counteract yellow tones in blonde, bleached, and silver hair tones. I, having dark hair, did not use this, but my co-worker and Mother-in-Law have, and they both loved it. Blue-Violet tones have been used for decades to counter yellowness in light hair and it is because it works! I speak now as a dog groomer who owns a 90% white dog, it really can make a difference if the hair looks white/blonde or yellow and dingy. 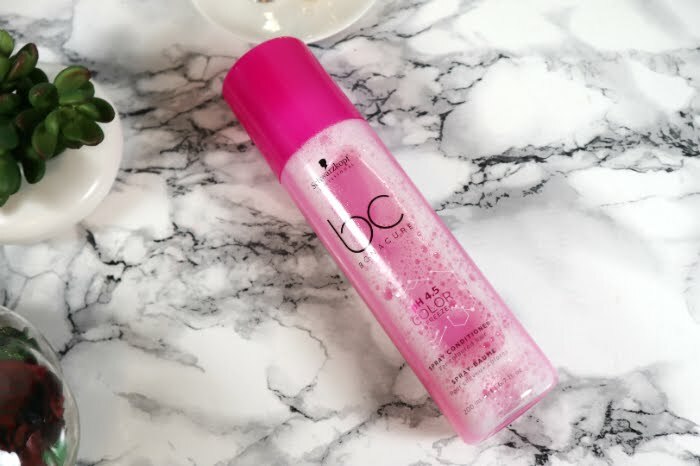 This is a light conditioner that helps with all the things the shampoos do, retail the proper pH for your hair to hold colour longer, freezes it in, fills in structural gaps in with keratin and helps condition your hair. I personally find it a nice light conditioner that I like to use any regular day of the week. It isn't too thick or heavy so those with finer hair won't find it too heavy. This is a hair mask treatment. It helps strengthen the hair by filling in structural gaps using keratin while maintaining the 4.5 pH level to help keep your colour intact longer. It has a thick conditioner texture to it, nothing too dense but it really hydrates the hair when it is on. I love to use this as an all over mask once a week or every other week during the winter months. My hair is so dry right now and it really shows, so it helps counteract that. I often will also just add it to the last quarter of my hair to give it a bit of a hydration boost while I am just washing my hair regularly. It find it helps to give it that little bit extra the ends on long hair often need, it helps me stretch out the amount of time I can go between haircuts. This is a leave-in conditioner spray. It has a duo-phase to it so you have to shake it up before using it. 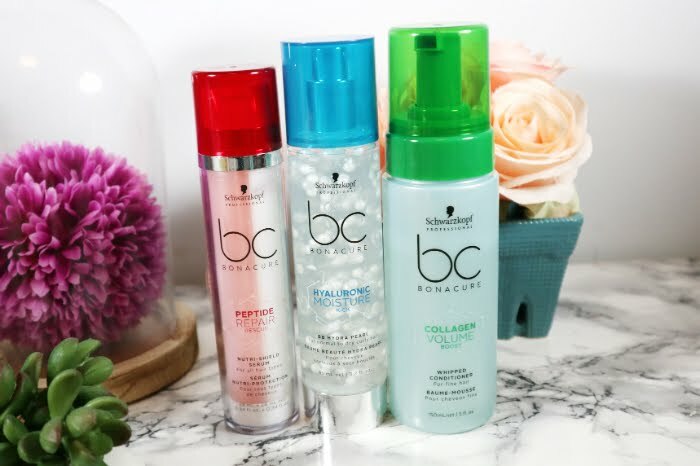 If you read my Schwarzkopf Gliss review, you may have seen a similar product, Express Repair (but has completely different ingredients). Each line in the BC Bonocure collection has its own version of this spray. They work by conditioning the hair lightly, helping detangle and fill in structural gaps in the hair. This one also helps maintain the optimal pH level of 4.5 for colour treated hair and maintain its colour vibrancy longer. I love using a leave-in conditioner spray daily. Whether it is while my hair is wet or in the morning on a day I have not washed my hair, they really help detangle my hair and let me brush it out without damage now that it is long again. I love that it helps fill in my porosity issues and really find it makes a difference for the next time I colour my hair. I find it very comparable to the Gliss Colour Gaurd, but lighter in the finish. Now on to some other items from other lines that I gave a try and am loving. 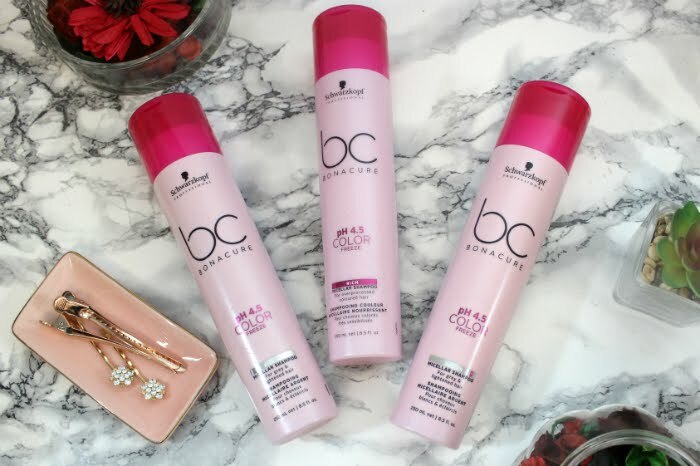 Meant for finer hair, the BC Bonacure Collagen Volume Boost line use Collagen to boost fine hairs volume the way collagen boosts skins plumpness. This mouse comes in an aerosol-free pump and is to be applied to the hair while damp. I personally like adding it to my scalp area to help give my hair a bit of body. I find now that my hair is long it no longer has any height to it and this has actually helped quite a bit in giving it a boost that lasts throughout the day. The Hyaluronic Moisture Kick line is all about using hyaluronic acid to restore moisture and shine to your hair. The BB Hydra Pearls are a lightweight way to add moisture back into your hair. The pearls are made of glycerin that burst into a hyaluronic acid gel, the result is hydrated hair that isn't weighted down. 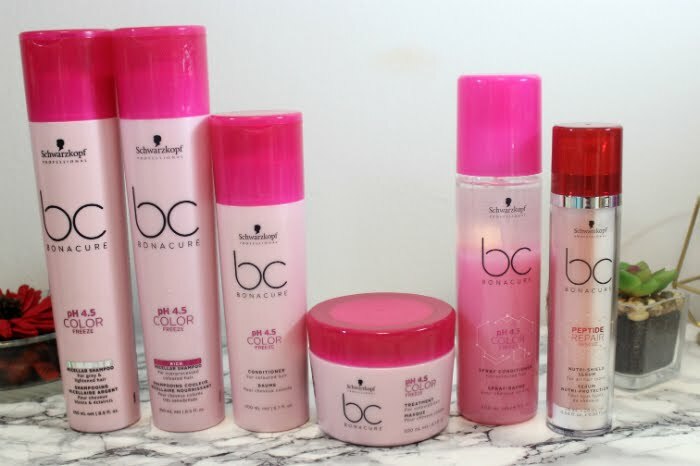 The BC Bonacure Peptide Repair Rescue line is all about helping restore bounce and shine to damaged hair. Basically, chemically treated hair needs this line. Rescue Nutri-Shield Serum is a dual chamber product that pumps out a clear and a creamy side so you can mix them together. It helps to provide heat protection up to 220ºC/428ºF. It also helps seal the hair surface to help keep it smooth and silky while adding strength and elasticity by filling in structural gaps in the hair. I have been using it every time I use a hot tool and find that my hair feels amazingly soft and manageable when I use it. My hair dries to a much smoother texture without the need of a round brush or a flat iron, it just looks smooth and feels soft after use. Overall I have really been enjoying all the products I have tried out. I like the idea of skin care technology being added to help your hair be its best. I really like the micellar technology, in particular, it loves how clean but not stripped my hair feels after using the shampoo. I also really enjoy knowing that my porosity is corrected thought structural repair with every use. The stand out styling product to me is the Peptide Repair Rescue Serum. It leaves my hair so smooth and soft that I can go longer without washing my hair. It feels stronger and smoother instantly and in this cold weather, I don't feel about using my hair dryer because it gives my hair protection from the heat. 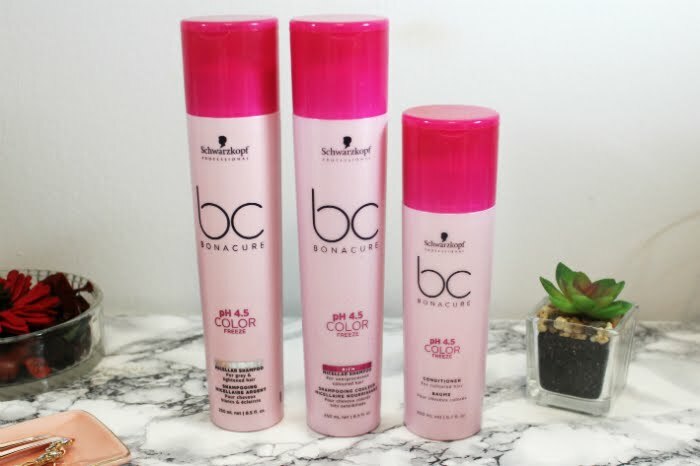 Schwarzkopf BC Bonacure products can be found at salons that use Schwarzkopf products. For more info check out their website. *Products were received as in a gift bag while attending an event. All views and opinions are my own.